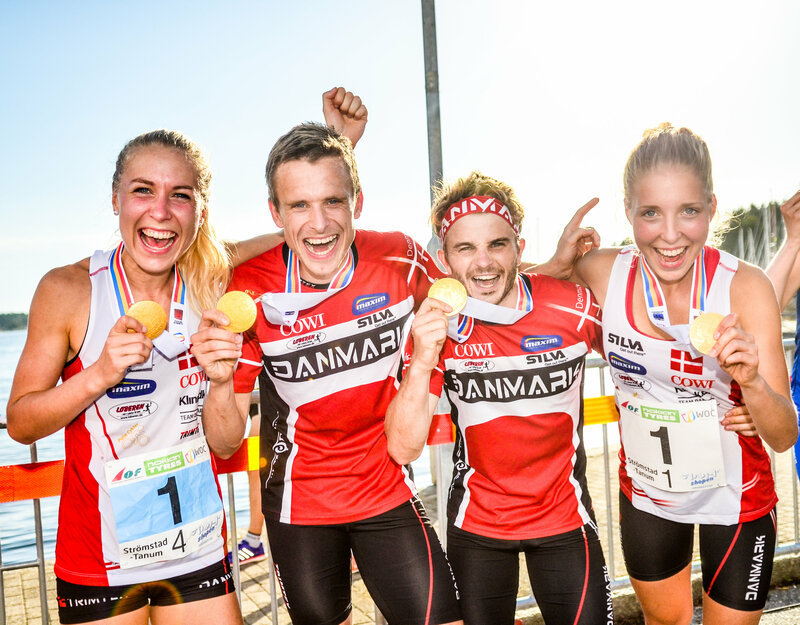 Denmark won the World Orienteering Championships Sprint Relay for the second year in a row after a tight battle with Switzerland and Sweden. Cecilie Friberg Klysner, Tue Lassen, Søren Bobach and Maja Alm ran on the winning team. The secret behind the victory: Dedicated focus on the Sprint Relay. On the last leg the fight was between the two best in Saturday’s individual Sprint, Denmark’s Maja Alm and Switzerland’s Judith Wyder and Sweden’s Helena Jansson – who skipped the individual Sprint. Jansson started on the leg 12 seconds ahead of Alm with Wyder another 18 seconds behind. Alm caught up with Jansson already on the way to the first control – and her speed was clearly higher than the Swede. Wyder managed to cut some seconds around the third control where Wyder’s forking was shorter – but Alm was never threatened and could celebrate with the Danish team 16 seconds ahead of Wyder. Jansson finished third for Sweden 1:01 behind. The below animation shows the battle for the Gold on the last leg. 2500 pictures from WOC 2016 now online! Why have RUS and BLR been disqualified? RUS missed punch on one of the last controls at the first leg. BLR is also DSQ on the first leg as far as I know, but not sure why. 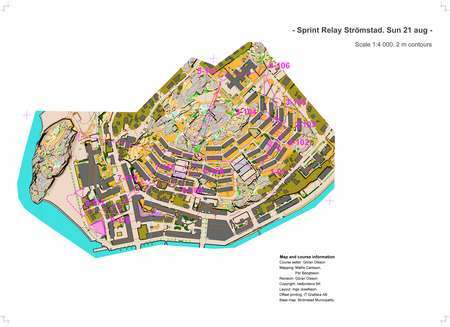 On TV I noticed that a unpatient runner in the relay grabbed his own map, and should be DSQ – but I’m not sure it was BLR? Were the WOC 2016 maps good enough?